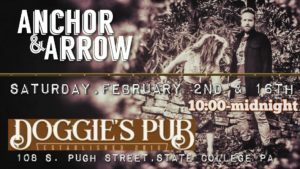 Anchor&Arrow takes the stage at Doggie's Pub from 10-12 on 2/16. Join Matt and Jenn for a mix of old favorites, new interpretations and original music. 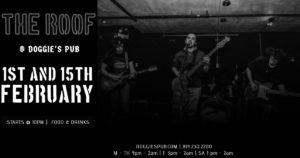 Local band The Roof returns to Doggie's Pub with new music.